In a hydraulic system, fluids play an important role. The truth is no operation is possible for a hydraulic system without the presence of hydraulic fluid. The environmental changes such as temperature variations will affect the hydraulic fluids and working of the system. When the temperature increases, the fluid will evaporate and when the temperature decrease, the fluid will freeze. This is one of the major issues regarding hydraulic fluid. Hydraulic system applications range from small toys to larger applications like aircraft and robotics. In such cases, there will be applications that involve contact with ignition sources and hot surfaces. Furnace chargers and dischargers, hot metal shears, coke furnace door openers, diecasting machines, etc.. are some applications that involve higher temperature and contact with an ignition source. What will happen when the hydraulic fluid is exposed to these situations? The effects will depend on the type of hydraulic fluid used. Mineral oils, fire-resistant fluids, water/oil emulsions, water glycol, and phosphate esters are the different categories of hydraulic fluids. 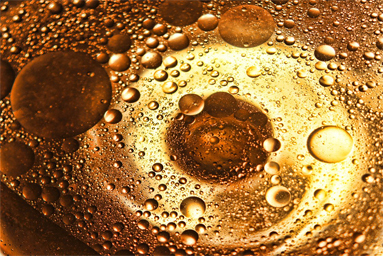 Petroleum based hydraulic fluids like mineral oils have flash point(the lowest temperature at which the vapors will ignite) that ranges from 300 to 600 degrees Fahrenheit. The water-based hydraulic fluids are inflammable. But, there is an issue of corrosion while using water-based hydraulic fluids. The flammability test on hydraulic fluids is carried out depending on the ISO 12922 specification. Fire resistant hydraulic fluids are mainly classified as oil and water emulsion, water-polymer solution, Anhydrous Synthetics. The fire resistant, water containing hydraulic fluids will have more than 35% of water content. ISO 12922:2012 again classify these into HFAE, HFAS, HFB, HFC, HFDR, and HFDU. emulsion appearance. It contains more than 80% of water and is resistant to aging. HFAE has application in the field of mine support, hydrostatic drives, hydraulic strut extension below ground. HFAS: This is a synthetic aqueous fluid having a transparent appearance. It is free from mineral oils and contains more than 80% of water content. Mine support, foundry technology, press hydraulics, etc.. are the applications of HFAS. HFB: This is a water in oil emulsion containing more than 40% of water. Below ground, coal mining is an application of HFB. 650 °C is the minimum ignition temperature required according to ISO standards. HFC: HFC is known as glycol solutions, polyalkylene glycol solutions or water glycols. 600 °C is the minimum ignition temperature required. This is a water-polymer solution containing more than 35% of water. HFC has application in all fields where water-free hydraulic fluids are not used like the steel industry, coking plants, foundries, hardening plants, forming presses, injection molding, etc. HFDR: HFDR use phosphoric acid ester and it has poor viscosity and temperature characteristics. This is classified as hazardous working material because it will develop toxic gases in case of fire. The turbine control system is one application of HFDR. HFDU: HFDU can be again categorized into glycol based and ester based. Glycol based HFDU has good viscosity, temperature characteristics, shear stability and resistance to aging. This is a water-soluble fluid having good wear protection. Mobile systems with high thermal loading properties use glycol based HFDU. Ester-based HFDU has high dirt dissolving capacity. To ensure the safety of the work site, you can convert the existing mineral/petroleum based hydraulic oil into fire-resistant hydraulic oils. While performing the operations, always follow the four below mentioned checklist. Check the compatibility of all other components used in the circuit with fire-resistant fluid. Drain the existing fluid and clean the pipes, pumps, hoses, valves, etc. Refill with fire-resistant fluid and check the system.